The 2017 Chevy Equinox in Cincinnati, OH is a great alternative for those interested in a vehicle that’s able to provide an efficient and spacious ride. Since it’s a compact crossover, it has all the perks of SUV-like style and looks, but you don’t have to deal with the gigantic turning radius, or gas-guzzling bulk. Just because it’s labeled as compact doesn’t mean it has a small interior. In fact, the inside of this vehicle is actually quite reasonable, and has been and continues to gain a lot of attention from full-size SUV lovers, primarily thanks to the combination of better fuel economy and a spacious cabin. On the performance side of things, the Equinox has an optional V6 engine that provides a decent power-boost over the base engine. It also comes with a suite of standard and available safety features that help prevent an accident, as well as protect and respond after the collision. These are just a few of the many reasons McCluskey Chevy proudly stocks the Equinox, and why the Equinox has been named the Most Dependable Compact SUV by J.D. Power. 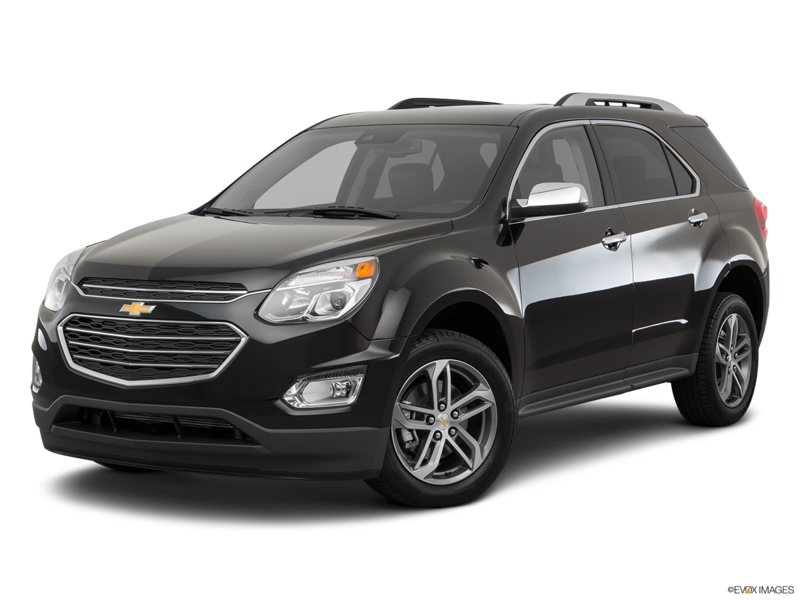 The base engine of the 2017 Equinox is a 2.4-liter four-cylinder, which produces 182 horsepower and 172 lb.-ft. of torque. This engine comes paired standard to a six-speed automatic transmission and it’s a front-wheel drive vehicle by default. An all-wheel drive variant is available, but not on the L trim. For acceleration, the Equinox equipped with this engine (FWD) can go from zero to 60 mph in 9.5-seconds. Thanks to an eco mode that’s been built in on the four-cylinder, the FWD Equinox gets up to 21 mpg city and 31 mpg highway, which is more efficient than some of the full-size economy sedans on the market. A model with this engine is able to tow 1,500 pounds. The optional 3.6-liter V6 engine kicks up the power, and pumps out a whopping 301 horsepower and 272 lb.-ft. of torque. So if the base engine isn’t satisfying your horsepower needs, the V6 on the LT or Premier trim is sure to sate that craving. This allows the 2017 Equinox to hit a zero to 60 mph time of around 7.0 seconds, which is fast for a crossover SUV of this size. Naturally, fuel economy dips slightly, and is now sitting at 17 mpg city and 24 mpg highway (FWD), or 16 mpg city and 23 mpg highway (AWD). Towing capability is also increased, and now the Equinox can tow 3,500 pounds. The transmission mentioned above is also mated to this engine, and ends up being the only transmission choice for the Equinox in 2017. As you can see, the Equinox has successfully figured out a happy balance between towing capacity and fuel-efficiency. As opposed to a full-size SUV, where the fuel economy is just abysmal across the board. The 2.4-liter engine provides plenty of kick to get on the highway safely, while still giving exceptional fuel economy. If more power is desired for towing or acceleration purposes, the V6 engine is available, at the expense of fuel economy. The point is, you have options when it comes to the Equinox — and who doesn’t love options? With crossover SUVs, you have a mix between a car and a truck. The platform is that of a car, and the body style retains its basic SUV shape. Like most crossover SUVs though, it no longer has hard and rectangular edges. Instead, those edges and corners are often softened to help create a less-aggressive appearance, and enhance fuel economy by boosting aerodynamics. The end goal is to have a vehicle that combines the best of both worlds: more nimble, car-like handling, with some of the utility, looks, and performance of an SUV. Naturally, a compact crossover will have much better fuel economy than a larger SUV, and if done right (like the Equinox), it also creates a vehicle that doesn’t sacrifice passenger space for fuel. While it’s unable to hold eight passengers like its big brother the Tahoe, and it might not have the roar of a V8 engine under the hood, there is still something to be said for the Equinox, and the unique perks it provides. Typically, getting better fuel-efficiency means losing out on other aspects of the vehicle – primarily, size and space inside the cabin. In this case, it’s the Equinox’s naturally small demeanor that provides it with exceptional fuel economy. There is plenty of cabin space and fun features found in the 2017 Equinox. In particular, the cabin is ample throughout and seating comfort is good all around. A lot of the credit has to do with the cavernous backseat, and the slide-and-recline function. Front headroom is 40.90 inches, and front legroom is 41.20 inches. In the back, passengers have 39.20 inches of headroom, and the same amount of legroom. That function allows the seats to slide back and forth and recline. The reclining is especially helpful, since taller passengers will be able to gain one or two more inches depending on how far they recline the 60/40 split-folding seats. For storage space, you’re looking at 31.5 cu. ft. behind the second row, and then 63.7 cu. ft. with the rear seats folded down. While rivals might get slightly better cargo space, the Equinox trails behind by only a tiny margin. Leading the way for the rest of the features in the cabin is the 7-inch touchscreen interface that has customizable menus similar to those on modern smartphones. This familiar layout combined with the MyLink telematics system makes for an overall user-friendly experience. Bluetooth streaming audio compatibility allows for the use of all your favorite phone apps, and the 4G LTE wi-fi that’s built in ensures you will have connectivity to the web wherever you visit. 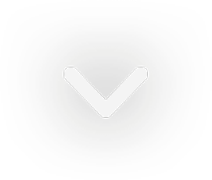 Siri eyes-free is also available for those with iPhones, and allows you to make calls and send texts completely hands-free. Materials are on par with all the other Chevy models: high-quality and simple. Nothing too flashy, which is good. Lower level trims start with durable cloth upholstery, and then progress to leather in the higher trims. The dashboard is sleek, stylish, and high-quality, and smoothly flows into the door panels and around the steering wheel and center stack. This creates a sense of envelopment, which is common in the crossover SUV class. Intelligent safety features, plenty of cabin space, and car-like handling/efficiency with a splash of SUV capability and ruggedness — what more could you want? While the overall design of the 2017 Equinox remains unchanged from the 2016 model, it does have two new optional packages that change the look a bit. The Midnight package blacks out the Equinox, whereas the Sport package has the same type of wheels, accents, and leather, but substitutes white paint. Where can you find one of the hottest-selling vehicles on the market? At McCluskey Chevy, of course. Here, we’ll not only get you a great deal on the Equinox, but also sell it to you with a smile. Along with the promise that we’ll be there to help every step of the way, whether that means years down the road with the service of the vehicle, or immediately as our finance department helps you sort out payments ahead of your purchase. Because at McCluskey of Chevrolet, we’ve got your back no matter what.